New Classes and Workshops for November and December! 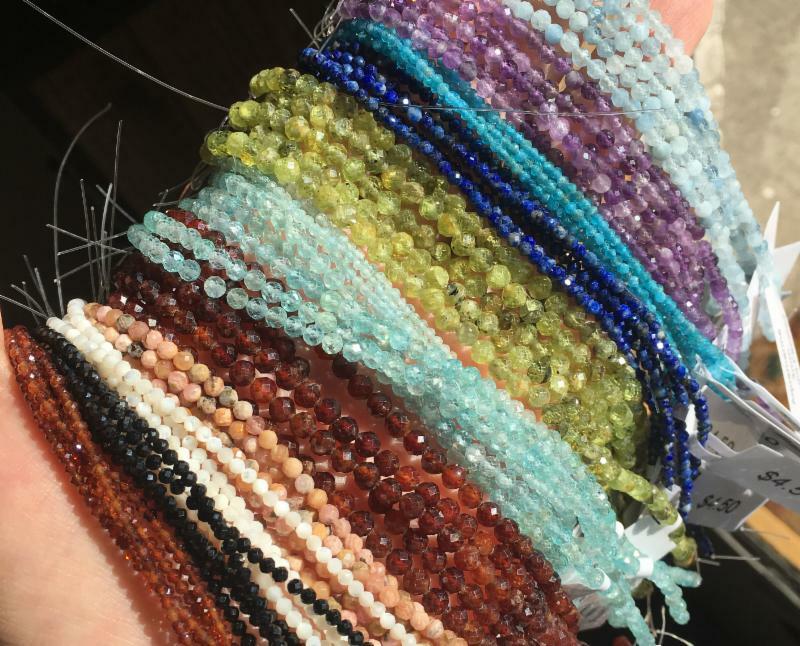 Pictured: 2-4mm faceted orange garnet, black spinel, shell, rhodachrosite, kyanite, peridot, lapiz, apatite, amethyst, and aquamarine - Starting at only $2.50 a strand! 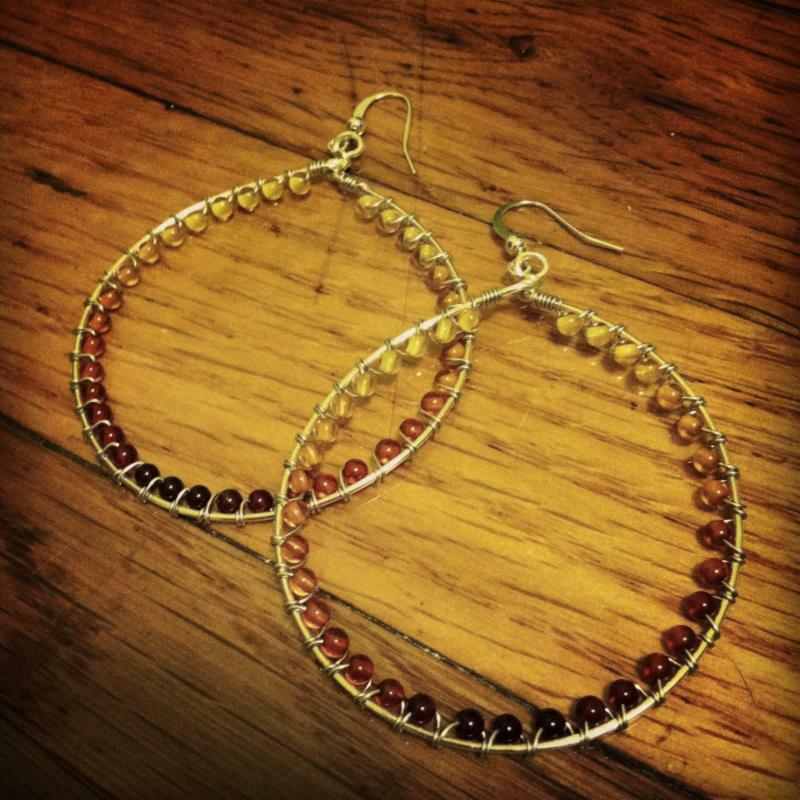 Perfect little sparkly gems for the holidays. See below for project ideas! Did you know that when you purchase beads from our trunk show box that 10% of your purchase goes towards AMURT and other relief and orphanage projects around the globe? For more information go to www.amurt.net or www.tashirat.com We are so grateful to be able to work with companies that support these kinds of efforts. 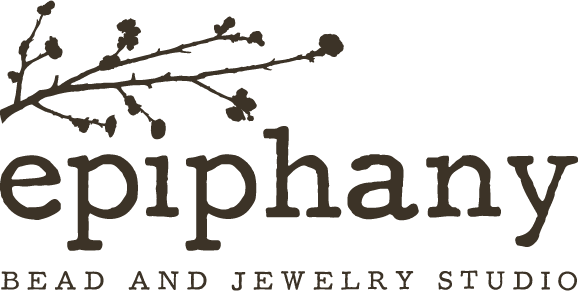 Stop in today to see the rest of the new gemstones in our trunk show box! Available for a limited time only! 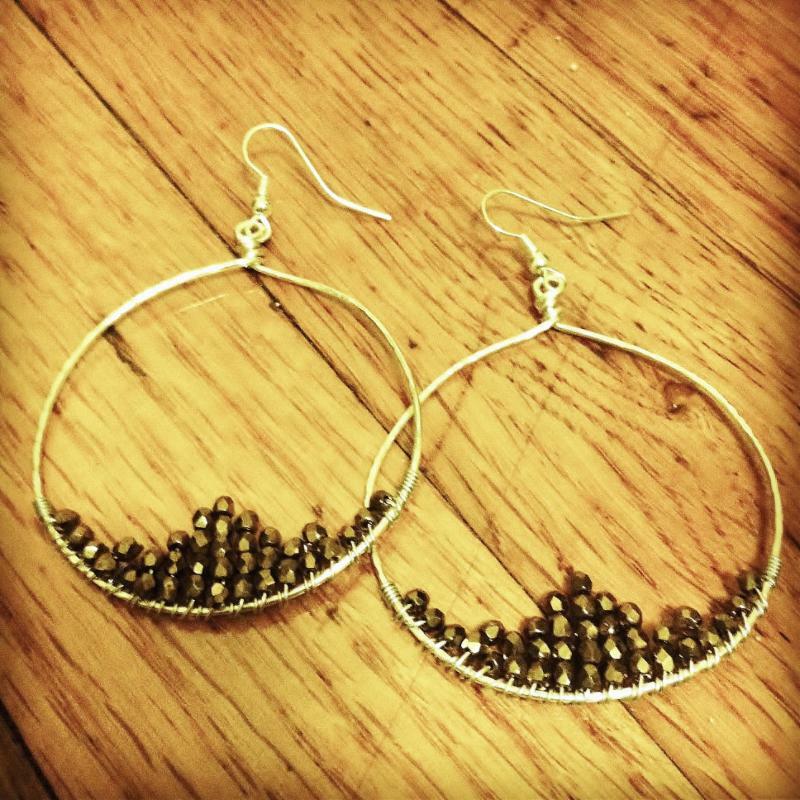 Fun and simple earring project using Superduos! 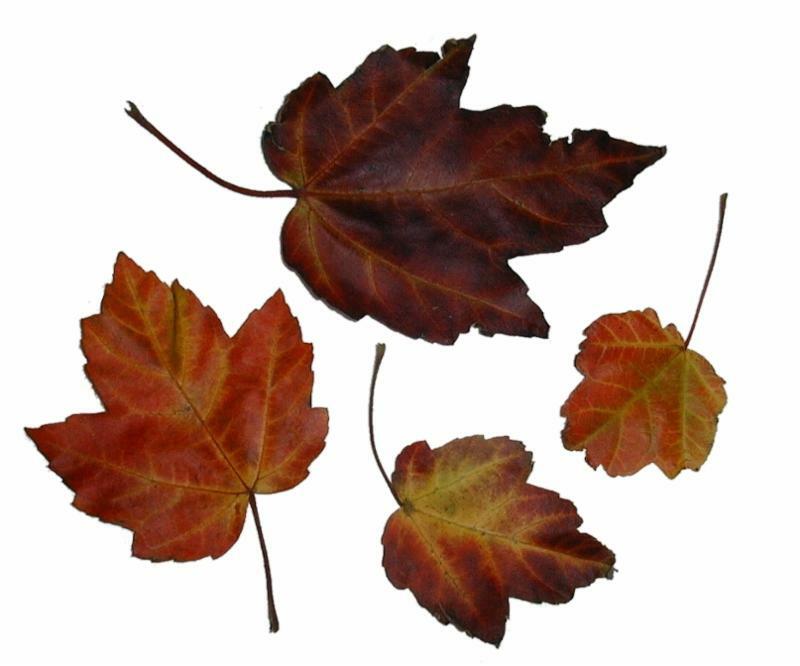 We just got in lots of new superduo colors I know you are going to love! I want a pair in every color! 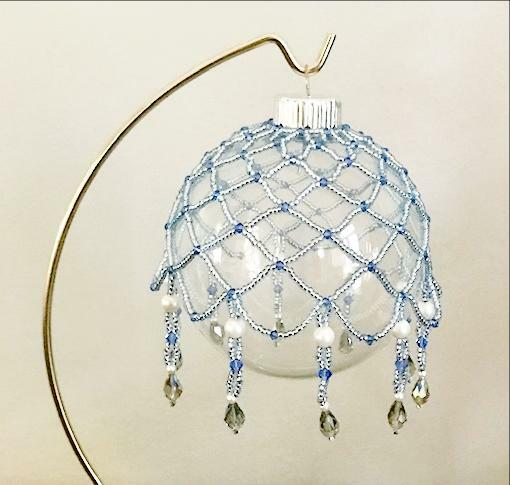 Learn the technique of netting while making this gorgeous ornament for your holiday decorations! 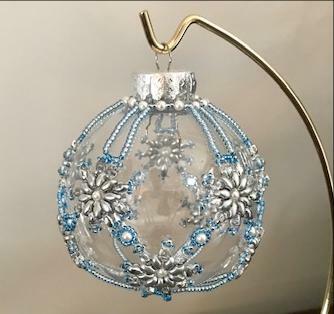 Create a beautiful holiday ornament with a snowflake pattern! 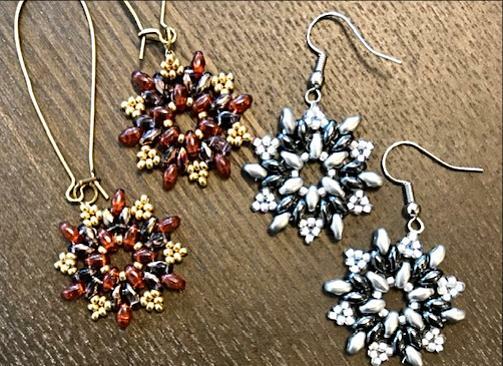 This pattern also uses the superduo beads that are used in the snowflake earring! Fun holiday activity! The cost of the class includes instruction fee and 1 earring kit. 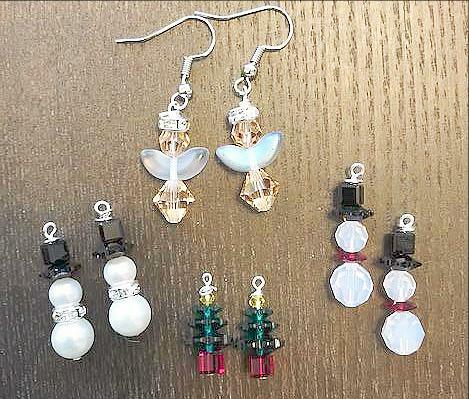 Additional kits will be available for purchase if you want to do more than 1 pair of earrings. Great mom & daughter activity, girls day activity, great for making gifts, teacher gifts, hostess gifts etc! 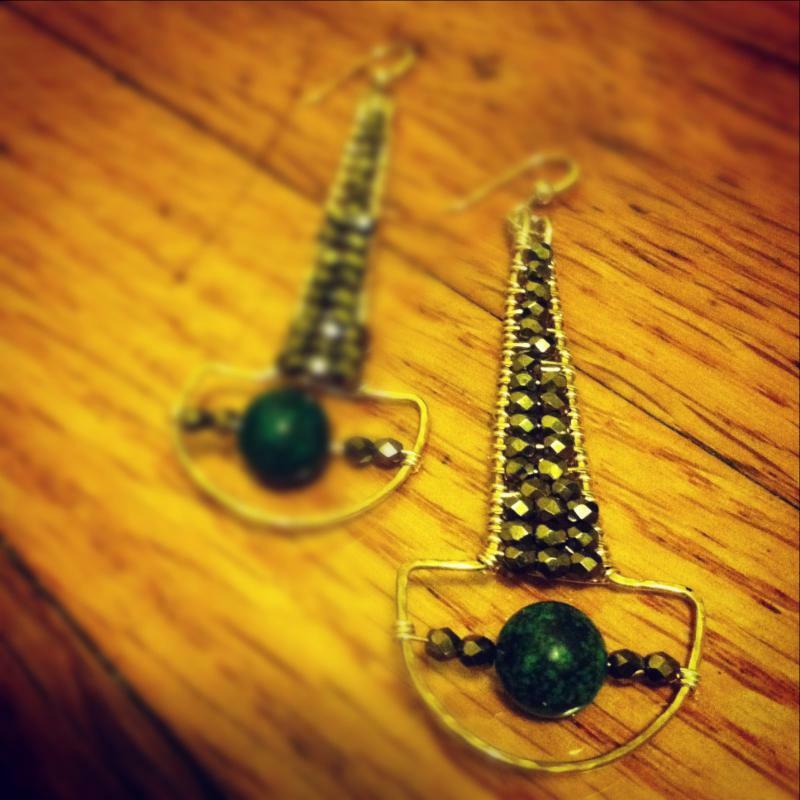 We also have kits for Hanukkah earrings as well! Students will learn how to make simple loops, coiled loops, attach loops and make your own hook and eye clasp! 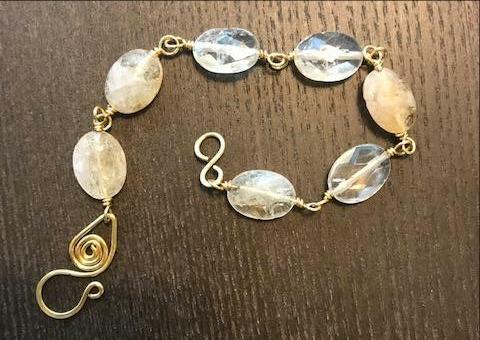 Participants will learn about gauged wire, which gauges to use when, how to make two types of loops and when to use which, and learn how to connect loops to make dangles, rosary chains, etc. Call 912-677-3983 today or stop by the shop to reserve your space! Payment is required upon registration to hold your space in the class. We are so grateful for your continued patronage to our store! We wanted to give you a little something back so we are having a fall sale as well as an e-mail list exclusive coupon! Also, please note that we will be open through November and December but will be closed on Thanksgiving and Christmas, as well as Christmas Eve. All Swarovski Crystal 30% OFF! All seed beads 20% OFF! Receive an additional 25% OFF our clearance rack! Sterling Silver and Gold Filled Findings 20% OFF! Sale ends on Nov. 21st. Present this coupon at checkout to receive your discount!